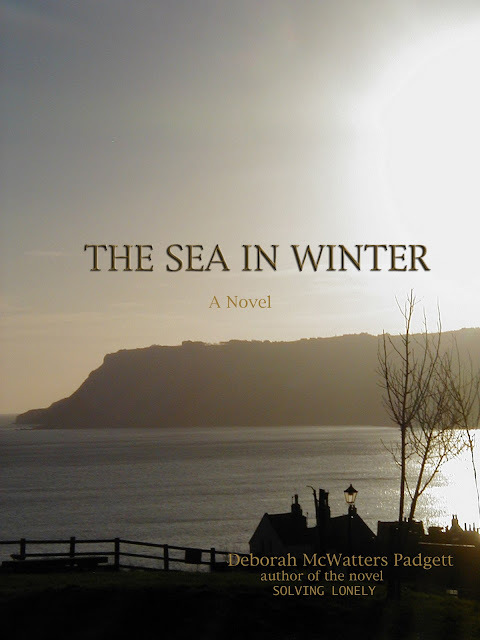 The Sea in Winter tells the story of a vigorous and vital woman coming fully into her own in her mid-seventies at the crossroad between two centuries and two continents. It is a story of love, war, survival and hope. The story attempts to reveal the lessons learned and the legacy left by one long and deep-living woman whose very name cries "Victory." Deborah McWatters Padgett has been writing and painting her entire adult life. Her background includes a concentration in Literature from the University of Minnesota and a participating membership in the Loft Center for Literary Arts. Her instructors have included Alexs Pate, Faith Sullivan, Jonis Agee, Mary Gardener, Carol Bly and Patricia Weaver Francisco. She is a lifelong avid reader of literary and commercial fiction. Reading has served as primary educator to her writing. Her first novel, SOLVING LONELY, was published by LULU Press in 2011. Her short fiction has appeared in SPOUT, GYPSY CAB and SING HEAVENLY MUSE. Her essays and articles have been published in national and regional arts publications, as well as, Ceramics Monthly, Ceramics Art and Perception, (Australia) and in the Minneapolis Star Tribune. She currently writes a monthly column titled “Living, Loving & Laughing…. Dear Deb”, for Saint Paul, Minnesota’s non-profit COMMUNITY REPORTER. She is mother to four grown children and grandmother to twenty-one. Her work celebrates the ordinary and attempts to hold dear the present moment in all its joy and sorrow. Deborah lives with her husband, ceramic artist and emeriti professor of art, Michael Padgett in Saint Paul, Minnesota.